It's the new year so it's time to share something new! 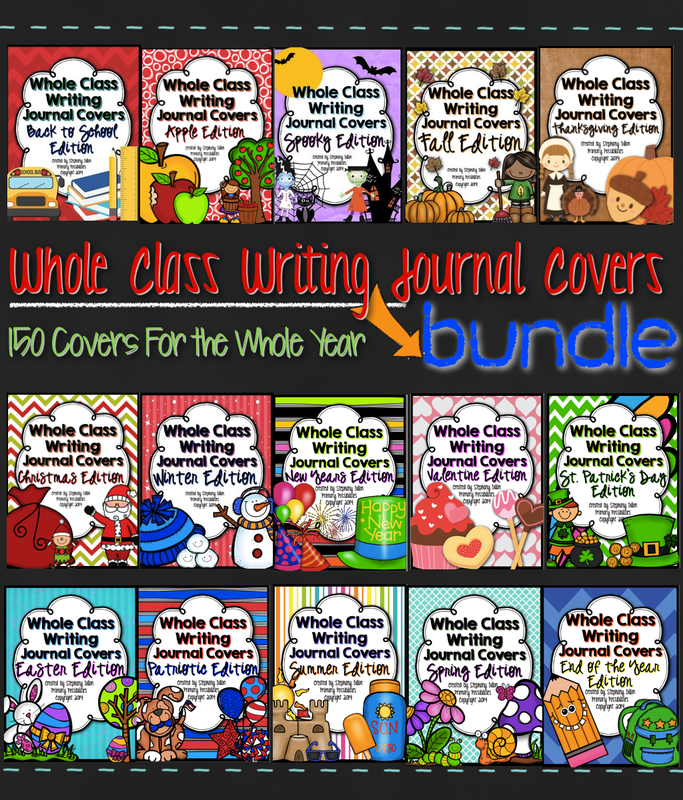 I'm happy to be able to share my Whole Class Writing Journal covers. These have been such a lifesaver for my writing station. I just print the covers I want (each cover has a writing prompt on the front) and then bind the cover with writing paper (included in the packet). The prep is so simple and quick. These are also awesome for early finishers. There is always something to write about... fiction stories, making lists, non-fiction stories, letters, opinion writing. There are 150 different covers in this packet! You can grab it up for over 50% off for the next week! 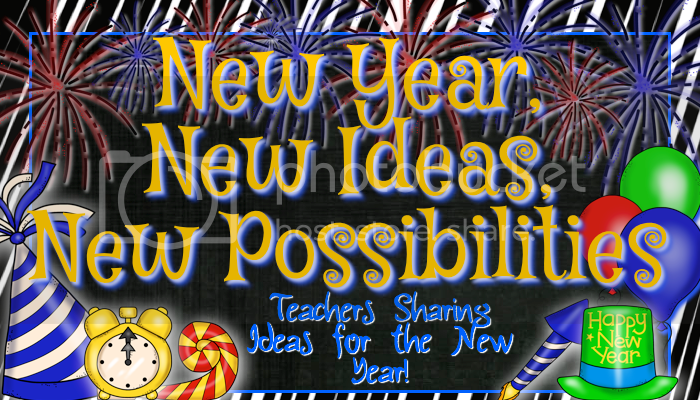 Link up something you would like to share for the new year! It could be a new product, time saving idea, or a goal for the new year! 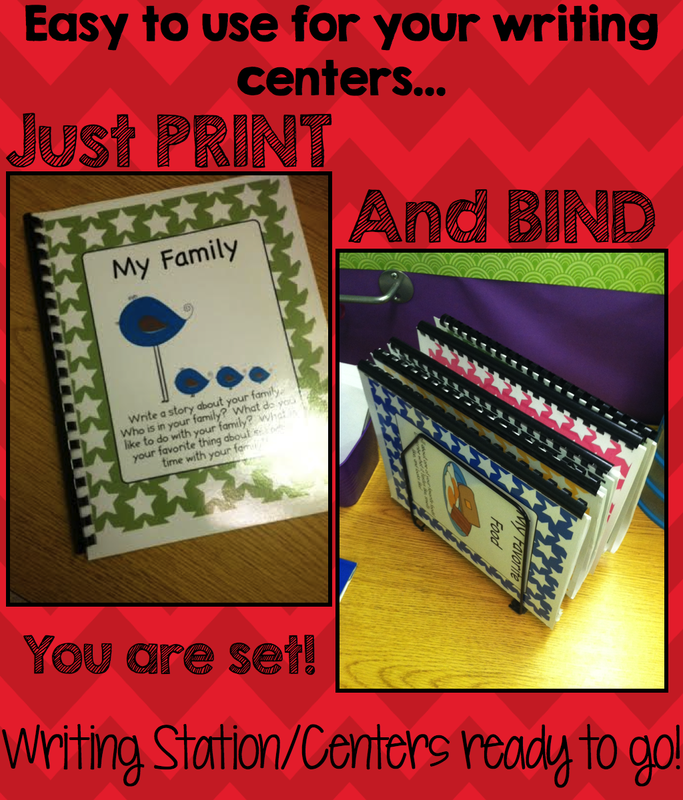 I think having themed journals in a writing center is such a great idea! I will be using these once I return from my Mat leave!! Happy New Year & Thanks for the link-up.